You've never ridden a sled like this before! 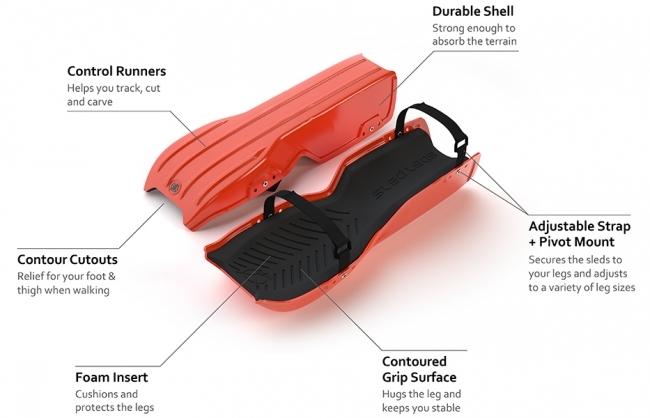 We've created something to give you a whole new feeling when sledding down a snow hill. Traditional sleds and toboggans have been around for ages. Nothing new has come along to give you something more in wintertime fun. We're here to change that with Sled Legs. Why can't you wear a sled? Well, now you can! You strap Sled Legs on, run, and quickly slide on the snow. And no reason to hold on to the sled since you are wearing them! Because the sled is made of 2 pieces rather than one, the independent sleds provide you more control to help guide and steer you down the white powder. When you get to the bottom, simply stand up and run back up the hill to do it all over again! 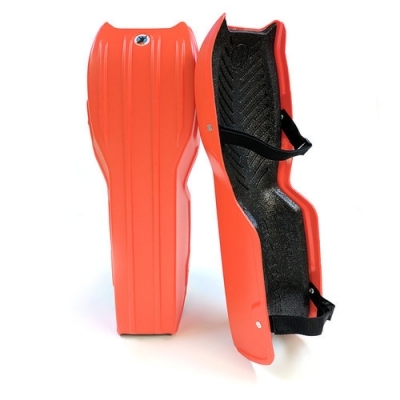 Sled Legs is here to give new life to your fun in the snow!